Finding a true impressionistic collection of psychedelic tracks that are written in a traditionalist way, without computerised trickery or over hyphenated gadgets to control the music’s every move, in today’s modern psych scene is a difficult thing to do. With so many different sub-genres attaching themselves to the scene it sometimes becomes muggy, uninteresting and, frankly, bloody boring. 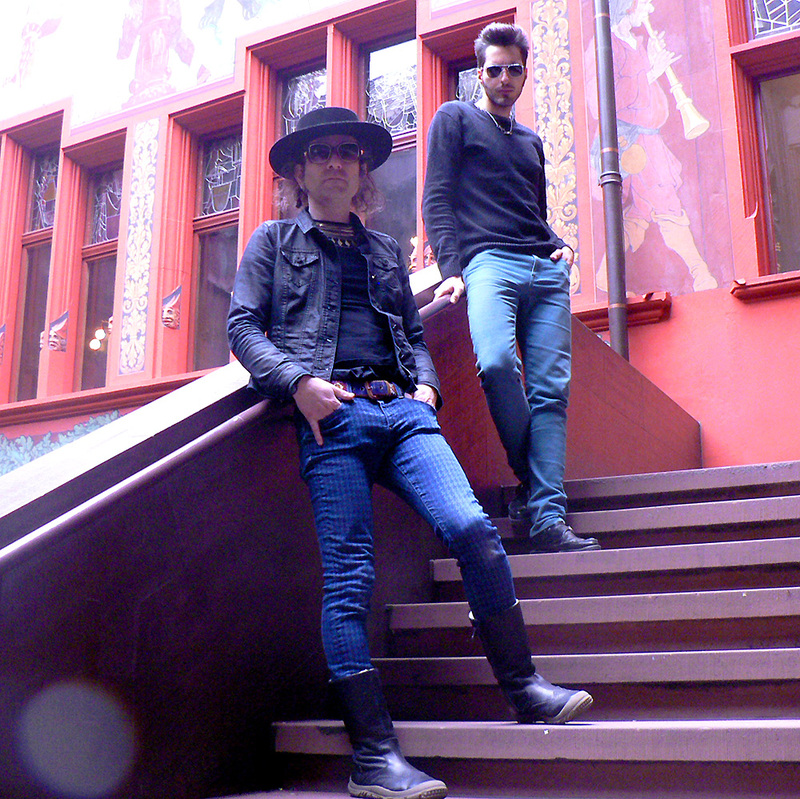 So imagine my surprise when I opened up the debut self-titled album from Swiss psych duo David Max and Nick Nobody, aka Sons Of The Void, and was instantly blown away by its stunningly un-compromised collection of melodically sensible psychedelic treats that are stuck firmly within an experimental ’60s lo-fi swirl. Released via the incredibly trustworthy independent record label Sunrise Ocean Bender on March 4th 2016, this stunning debut release will tiptoe into your life, scoop you up and effectively bring you on an acid-drenched rollercoaster ride of intense proportions. The album opens up with the insanely experimental ‘Leichenblume’. The jittering opening sample track makes way for beautifully hypnotic guitar progressions that swirls like some invisible vortex around that melodic vocal line for what seems like an eternity, until we’re led into the opening chord progressions of track two, ‘Don’t Forget To Pray’. It, in turn, uses its soothing vocals coupled with those beautifully arranged guitar progressions to rock back and forth, acting like some metaphorical sonic security blanket that’s used to buffer against those tremulous and reverberating sonic frequencies that seem to loop and arc all over the musical ether. The vivid opening bars of ‘Kolliderscope’ swirl within that impressive spoken word vocal sample as it meanders on an explosive percussive pattern that leads us all into its soaring chorus progression and on into oblivion, whilst the almost country-tinged psychedelic sounds of ‘Absorption’ relax the senses and ease away the ills of a weary day by inviting you into its inner sanctum for a slice of sonic sustenance. ‘Hope I Don’t Miss’ swirls within a melodic, late ’60s west-coast vibe through its opening bars, before crunching into sixth gear and deftly shifting up into a warm, fuzzy, hair-standing-on-end wall of noise that’s musically reminiscent of early Spacemen 3 as its vocal tracks just hang in suspended animation, waiting to be explored. Golden-edged sonic waves usher in the brilliant psych-pop tones of ‘The Things We Wish’, whilst ‘A Kick Like That’ has dub connotations mingling in amongst its swirling, psych-induced vocal takes and those expansive jangling guitar lines. ‘A Kick Like That’ is thoroughly enjoyable and possibly my favourite track on this entire release. The album closes with ‘Little Children’, an infectious track stuffed to the brim with impressively melodic vocal lines streaked with beautiful guitar flourishes that are collectively embossed deep within ’60s psychedelia. There is a beautiful calmness surrounding every track on this release that’s intensely melancholic, brilliantly overpowering and deeply infectious. Sons Of The Void expertly push the experimental sonic envelope but somehow manage to stay within the realms of the psych purist. If you have to listen to one album today, it should be this! Recommended listening!